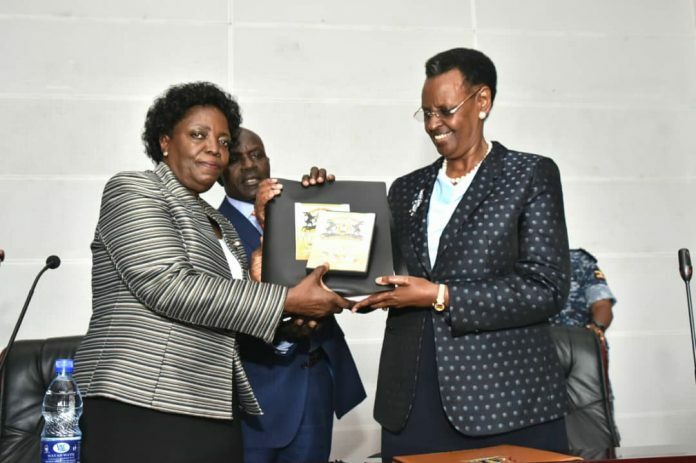 The 2018 Uganda Certificate of Education (UCE) results were released on Thursday by Minister for Education Janet Museveni. 27,696 candidates passed with First Grade, 52,706 in second Grade, and 70,347 third Grade. While 137,058 or 41.5% attained fourth Grade. 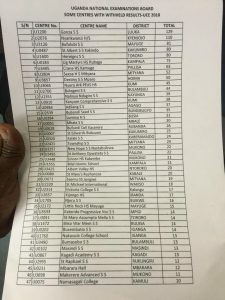 Another 42,334 students failed to attain any grade. They are supposed to repeat senior four. Luzira prison registered 43 candidates, Of these seven passed in DIV II, 20 in DIV III, 11 in DIV IV. Overall, there is an improvement in English language, Islamic religious Education and Physics. Mathematics and Biology have also shown improvement at the distinction level. Releasing the results, Dan Odongo, Executive Secretary UNEB said Female candidates performed better than males in the English language. In other large entry subjects, Male candidates show better performance with the differences more marked in Mathematics and Sciences. However, Uneb says the problem of language deficiency continues to manifest, with candidates having difficulties in applying the correct protocol, tenses.